The return of the “concept behind” a Labour government policy on funding adult skills abandoned in 2001 amid fraud claims has been put forward by former Shadow Skills Minister Gordon Marsden. In a contribution to the book One Nation Fizz, published yesterday (Wednesday, July 16), he said the Individual Learning Account (ILA) system of funding, where employers, government and employees paid in small amounts towards training, similar to a pension scheme, was “an idea whose time had come again”. The ILA scheme was abandoned by the then-Labour government after just a year due to problems with implementation, including fraudulent claims by employers and providers for education and training that was never delivered. The House of Commons Public Accounts Committee later estimated that of the £290m spent on the scheme, fraud and abuse could have amounted to £97m. Mr Marsden told FE Week the proposals were part of a “new deal for adult learning and skills” which he wanted to see introduced. “I’m not saying we should just dust the ILA policy off from 12 years ago and do it as it was then — it’s the concept behind it,” he said. “It would differ in the sense it wouldn’t simply be a repetition of it — the technology for administering is completely differently, it could be administered locally or regionally, utilising funding that’s already going into the Leps [Local Enterprise Partnerships] for local growth and social inclusion. Mr Marsden also said the ILA could be used to promote localism, by allowing employers or groups such as unions to decide what skills their workforce needed. The ILA proposal bears many similarities to ideas put forward by the National Institute for Continuing Adult Education (Niace) in its manifesto, published during adult learner’s week in June. It called for increased localism and personal skills accounts — funded by learners, employers and government. Tom Stannard, Niace deputy chief executive, told FE Week: “We welcome serious consideration of mechanisms enabling new ownership of skills by all adults. “We need state, employer and individual investment in learning and skills in order to meet the current and future skills needs of the economy. “Our proposal for new Personal Skills Account would empower and support adults of working age to get the skills they need to gain decent employment, stay in work longer and be more productive while at work. “They would have one essential feature: if individuals put money in it unlocks investment from the government and employers. “Personal Skills Accounts would be different to ILAs, which were established in the early 2000s and stopped in part due to fraud but mainly because they were uncapped and the budget was insufficient. “The new accounts can more easily be managed with the new mechanisms in place via the Skills Funding Agency (unique learner number, Personal Learning Record and register of approved providers). Mr Marsden, who wrote the article before the publication of the Niace manifesto, acknowledged the similarities. “The point is all of the arguments I make in this article are ideas that have been tossed around in the adult skills landscape for four or five years,” he said. He wouldn’t say whether the plans he had outlined were likely to influence the Labour manifesto before the 2015 general election, but he said his suggestions were “absolutely in line “with Labour’s skills agenda. 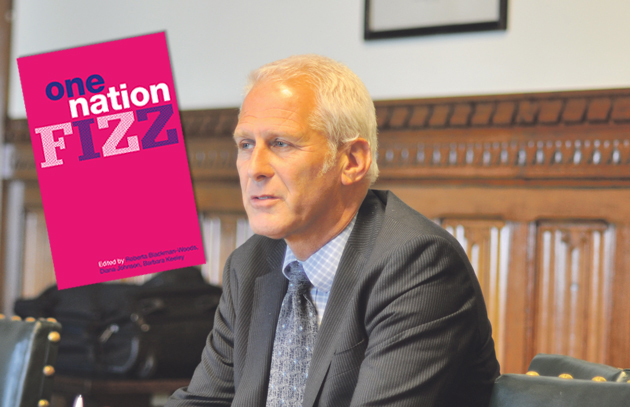 One Nation Fizz, published as an e-book yesterday (Wednesday, July 16), contains 14 articles on Labour policy with further contributors including former Education Select Committee member and ex-college principal Nic Dakin, whose chapter was co-written with Paul Blomfield MP and called Energising Further and Higher Eecuatio to Boost Our Nation’s Future.